WALTON, Ind. – Lewis Cass Junior High School eighth grader Mackey Wiles, 14, is an athlete, but she doesn’t play a traditional sport for the Kings – Wiles is a champion drag racer. Racing at the famed Lucas Oil Raceway in Indianapolis, the Walton native raced through six rounds before winning the VP Racing Fuels ET Bracket Series event in the Junior Majors Division on May 26. More importantly, that win also gave her the prestigious title of 2014 National Hot Rod Association Indiana Drag Racing Junior Majors state champion. The VP Racing Fuels ET Bracket Series showcases the NHRA Summit Racing Series categories including Super Pro, Pro ET, Sportsman and Super Pro Bike as well as the NHRA Summit Junior Drag Racing League. 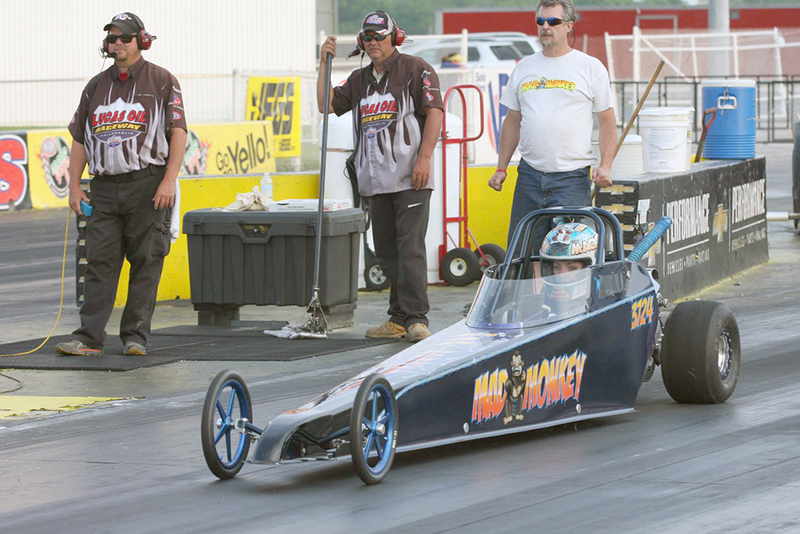 Junior dragster competition is comprised of two classes, Junior Major and Junior Minor, the latter of which is targeted to younger drivers ages eight and nine years old. Other drivers who won state championships include: Holden English in Super Pro, James Gibbs in Pro ET, Chad Isley in Sportsman, Isley in G&G Metal Spinners Super Pro Bike and Anson Brown in Junior Minors. Brown is the son of NHRA Top Fuel world champion Antron Brown.